March 31, 2011  Workers have discovered contaminated groundwater beneath a leaking nuclear reactor at Japan's troubled Fukushima Dai-ichi complex, plant operators say. The radiation levels were 10,000 times the government health standard. Other readings find radiation levels rose in seawater near the plant. March 31, 2011  The former head of Libya's intelligence service, who defected and resigned as foreign minister Wednesday, is widely believed to have been one of leader Moammar Gadhafi's most trusted aides. He also had developed a close working relationship with the U.S., especially on counterterrorism. March 31, 2011  Rebels pushing to install Ivory Coast's democratically elected president, Alassane Ouattara, were on the outskirts of Abidjan. The city is the commercial capital of Ivory Coast and the last stronghold of former leader Laurent Gbagbo, who has refused to cede power. 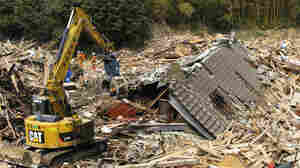 March 31, 2011  Nearly three weeks after the tsunami, the search continues for the thousands still missing. Work crews cannot begin to remove the mountains of debris strewn along hundreds of miles of coastline until they find all the bodies buried underneath. March 31, 2011  Since the tsunami damaged the Fukushima nuclear power plant 150 miles outside of Tokyo, Japanese citizens have grown more resistant toward nuclear energy. Analysts believe that any attempts at reform will face stiff resistance from the country's powerful nuclear energy establishment. March 31, 2011  Rebels seeking the overthrow of Ivory Coast's incumbent President Laurent Gbagbo pressed their battle on the main city, Abidjan. The nation's top army commander fled his post. And Ivory Coast's colonial power, France, deployed forces in Abidjan. As Gadhafi Holds On, What's Next For NATO? March 31, 2011  With the Libyan rebels repeatedly getting driven back, it has become apparent to many analysts that airstrikes alone can't help them take on Gadhafi's forces effectively. Some observers are now saying the conflict could drag on for years. March 31, 2011  The scene is a safe house somewhere in Britain. And the players are British intelligence agents, diplomats, and one lean, white-haired Libyan man named Moussa Koussa. 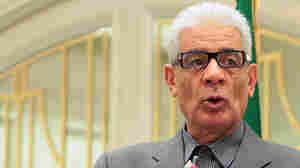 He's Libya's foreign minister, a senior member of Moammar Gadhafi's embattled regime. Koussa flew to England Wednesday, and the British say he's resigned his post and defected — and that they've spent the day debriefing him. March 31, 2011  The picture painted by Defense Secretary Gates of the Libyan rebels didn't give reason for optimism. 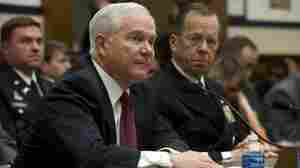 Gates said the lack of military command and control among the rebels made their efforts lengthened the odds against them in their fight against Gadhafi's better trained and equipped troops. March 31, 2011  In a move authorized by President Obama, the CIA has sent a covert team into rebel-held eastern Libya to gather intelligence to help direct NATO airstrikes and to help train inexperienced rebel fighters. March 31, 2011  As fighting rages between rebels and government troops in Libya, disturbing reports have surfaced of rapes carried out by state security forces. Last week, Eman al-Obeidy, a Libyan woman, told reporters gathered at a Tripoli hotel that she'd been gang-raped by Gadhafi loyalists. As she spoke, she was wrestled out of the lobby by knife-wielding hotel staff and has not been seen since. Now, an Al Jazeera TV report says Viagra and condoms have been found on the bodies of dead Libyan soldiers. Al Jazeera Sue Turton, who has covered the story, reports on the latest. 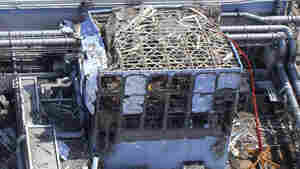 March 31, 2011  Aerial photographs of the stricken Fukushima Dai-ichi nuclear power plant in Japan show just how badly the facility was damaged by the earthquake, tsunami, explosions and fires. March 31, 2011  People in Afghanistan, especially the young, have closely followed developments across Muslim countries in the Middle East and North Africa. Many of them say they draw inspiration from Egyptians and Tunisians, and admire their courage in managing to organize and topple their respective governments. 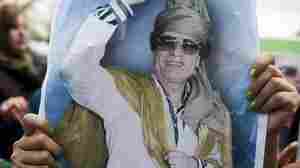 March 31, 2011  The Libyan community in Cairo demonstrates daily at the Arab League headquarters to support the no-fly zone, but the longer Libyan leader Moammar Gadhafi stays in power, the higher the cost. Former Gadhafi regime officials are urging the international coalition to arm the rebels who are fighting government forces. March 31, 2011  The Japanese utility company that owns the Fukushima nuclear complex, is struggling with more than just trying to contain the situation at the crippled plant. Since this month's earthquake and tsunami, the company has been under fire in Japan and its stock has dropped precipitously.